Property valuation is done by government approved / registered valuers and shows the worth of a property / asset as on a particular date. The value of immoveable property in Delhi has increased by leaps and bounds during the past few decades. Valuation Report is very important for assessing the FMV of a property as on 1.4.2001 for Capital Gain Tax purposes while selling a house / flat / floor. Provide us the details and scanned copy of the required property documents. Our Government registered valuer will assess the value of the property and prepare a valuation report. We will mail the property valuation certificate / report within 3 days. Our company provides services for Valuation of Property in Delhi, Noida, Gurgaon, Faridabad, etc. To get a Valuation report from a govt approved valuer, you may contact us at 8800418408. 1. Location of property: This is the most important factor in determining the value. A property which is having a good location will usually command a premium of 10-25% compared to other properties. Properties located near main roads, near parks and markets, etc. generally have a higher value. 2. Type of ownership: Properties may be either freehold or leasehold allotted by DDA, L&DO or MCD. Freehold properties always have higher value as compared to leasehold properties. 3. Type of property: The property may be either residential, commercial, industrial, institutional etc. Commercial and industrial properties generally have more value than residential property. Further the property may be a House/Bunglow, Builder floor, DDA Flat, Society Flat / Apartment, MCD Shop, Commercial office unit, L&DO / DDA Plot etc. 4. Property Title Documents: If the title documents of a property are missing or defective in some way, the property will not be able to fetch a good market price. Similarly, if the property is disputed or the subject matter of some court case, it will have a lower worth. 5. Master Plan & Building Bye Laws: If a property is not in conformity with the Master Plan, Zonal Plans and Building Bye Laws, it will have a lower market value. 6. Economic, Social & Political status of people living in neighborhood: A property located in colonies where the elite families, industrialists and politicians reside generally have a higher market value. 7. Shape of Plot: Plots that are shaped regularly tend to have a higher value than those with irregular shapes. Three side open plots have more value than two side open plots. 8. Year of construction of property : A property which is newly built or recently renovated will obviously have a higher value than an old construction. 9. Connectivity to roads and Metro etc : Properties in areas with wide roads, metro connectivity and easy access to airport and major roads will have a higher value. Our company provides services for Valuation of Property in Delhi & NCR. To get a Valuation report from govt. approved valuer, you may contact us at 8800418408. Provide us the details and scanned copy of relevant documents of the property. Our approved valuer will assess the fair market value and prepare a report showing valuation of property. Get the valuation certificate / report within 3 days. Wealth Tax : The owner of the property may need to get the properties valued for computing his wealth and payment of wealth tax. Capital Gains Tax : The seller of a property needs to submit a detailed valuation report of property showing the fair market value as on 1 April, 2001 along with the Income Tax Return (ITR) to substantiate calculation of long term capital gains tax (LTCG) in case he sells a property. In case an immoveable property has been sold on or after 1st April, 2017, it is necessary to produce a Valuation Certificate from a Government registered valuer showing the fair market value (FMV) of the property as on 1 April, 2001 for the purpose of calculation of Long Term Capital Gains on sale of property. Since there were no circle rates in Delhi in 2001, the Valuation Report / Certificate will be needed to determine the cost of acquisition / fair market value of property. Bank Loan : A valuation report may be required by the Bank for sanctioning the home loan/ loan against property based on its valuation. Family Partition : The family members may need a valuation of properties to substantiate and support their claims based on their share in the joint family property that needs to be divided among them. Stamp Duty : The buyer or seller of a property may need the report to substantiate the property value on which the stamp duty has been paid by him to the government. Such a report may be helpful in case a document has been impounded and sent to the Collector of Stamps for recovery for deficient stamp duty as per Circle rates. Matrimonial case : The valuation may be required to be submitted in the court by wife to claim a share in his husband's property in case of a divorce proceedings etc. Insurance : The insurance company may need the report for deciding and calculating the insurance premium. It may also be needed in assessing the claim amount. Visa application / Immigration / Foreign Citizenship : A person may need a valuation certificate / statement to show his net worth for getting Visa to foreign countries like Canada, USA, UK, Australia, UAE, Singapore, New Zealand etc for higher studies, tourist/work permit. Auction Sale : The property may be required to be valued for setting the base price for auction sale of the property by a Bank or Financial Institution. Bank Guarantee : The bank may require a report of the immoveable assets and properties in case of Bank Guarantee, Overdraft Facility etc. Mergers, Takeovers, Foreign Collaborations and Joint Ventures : A report is often required in such transactions before the investment is made in the assets. Credit rating : A report of valuation may be required for assessing the credit worthiness and credit rating of a company or an individual. Property related cases : The valuation may be required to be submitted in the court to show the value of the property for settlement of disputes among family members or in divorce cases. Registration of Property Documents : A valuation report may be required for the registration of property related documents such as Sale Deed, Gift Deed, Agreement to Sell, Partition Deed, Trust Deed etc in the sub registrar office. Rent & Depreciation calculation : A report may be required for calculation of rent and depreciation applicable on the assets for tax purposes. Jewellery, ornaments & Antiques : A report of valuation may be needed in respect of Antique items, Jewellery, precious stones and ornaments for submission with Wealth Tax / Income Tax returns or for insurance purposes. Court fees : The plaintiff may need to submit a valuation of the property as on a particular date (such as 1 April, 2001) to provide the basis on which Court fee has deposited by him for the suit. Land Acquisition compensation : A valuation of the land / property may be required for deciding and fixing the compensation payable to the owners for acquisition of their property. Property Tax / House Tax : A valuation may be needed for calculation of Property / House Tax payable to Municipal Corporation of the state. Gift of property : A property valuation certificate / report may be required in case of Gift of an immoveable property by the owner to his family member, relative or friend. Our company provides services for Valuation of Property for Capital Gain in Delhi, Gurgaon, Noida etc. To get a Property Valuation report in Delhi, you may contact us at 8800418408. 3. Obtaining advice of professionals. One can assess the value of immoveable property by trying to base it off the value of the rent that is charged and received annually by the property. However, because rent may be set too high or too low, this is often not an accurate indicator of market values. If the rent is at standard price, however, you can make a reasonable guess of the market worth, This method is suitable for valuing residential properties as well as commercial properties. This is one of the easier and common methods of estimating the market prices. Valuation is done by assessing the value of other similar properties in the nearby areas. It is a commonly used method and takes into account several important factors, such as the timing of the sale and the price at which adjacent properties have been sold. This price of adjacent and similar properties can be found out by checking the registration values of the properties. This is quite an accurate means of assessing a property’s fair market value. 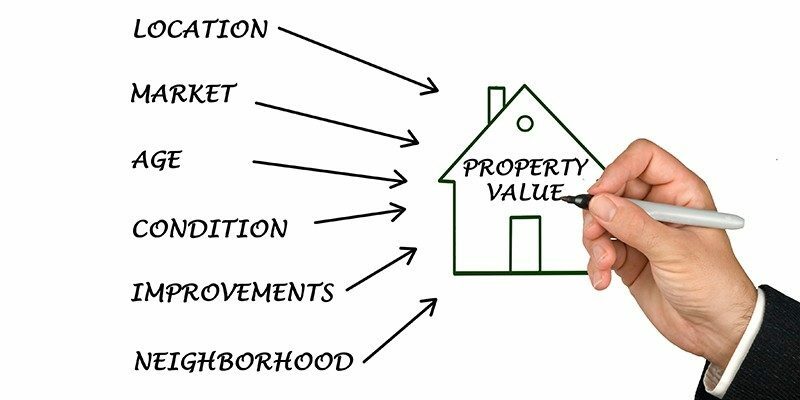 The valuation experts ( Category 1 Government registered valuers) are trained and experienced in the area of property valuation and offer better assessment of the fair market value of the property. These valuers spend enough time to thoroughly assess the situation before making the valuation certificate/report. Due to his experience and know-how, he can provide a reasonable estimation of the market value of a particular property. To get a Valuation certificate from Govt registered valuer, you may contact us at 8800418408. Want to get Property Valuation done for your property in Delhi NCR? Leave your details here and we will get back to you within 24 hours. If you are in a hurry, you can call at 8800418408. ​We value your privacy. Your information is confidential and secure.